Welcome to the latest edition of Ad Age Publisher’s Brief, our roundup of news from the world of content producers across digital and print. Got a tip? Send it our way. Joining us late? Here's the previous edition. 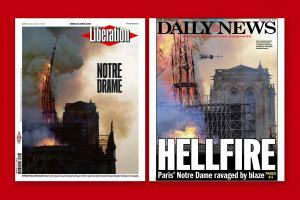 Notre Drame: Monday’s devastating fire at Notre-Dame de Paris—or just Notre Dame (sans hyphen), as most news organizations have been styling it—lands on newspaper front pages across the world this morning, including every major New York-based daily (The New York Times, The Wall Street Journal, the New York Post and the Daily News, as seen above), as well as, of course, newspapers across France, such as Paris-based Libération (its coverline, above, translates to “Our Tragedy”). The Guardian (U.K.) has a roundup of the front pages of French and British papers here. A few takes on the 2019 Pulitzers: “Pulitzer Prizes Honor Journalists Under Threat With New Crop Of Winners,” via NPR. “Pulitzer Prizes Focus on Coverage of Trump Finances and Parkland Shooting,” per The New York Times. And “The 2019 Pulitzer Prizes, by the numbers,” via Poynter. Sample stats from the latter: The New York Times, The Washington Post and Reuters tie, each with two wins; The New York Times has racked up the most wins of all time (127); and 14 of the Pulitzer finalists were local news organizations. News+ news: “According to several publishers, Apple News+ is off to a rough start,” writes Digiday’s Max Willens. “Five participating publishers Digiday spoke to detailed a series of early headaches, including struggles with Apple News+ article formatting, confusion about user experience and design, worries about jeopardizing big digital ad campaigns, and a gripe that Apple is favoring large publishers at the expense of smaller ones.” Keep reading here. The Mueller Show: The New York Times this morning announced its first-ever TimesTalk Breaking News event, titled “The Mueller Report,” set for Wednesday, April 24 at the The Times Center conference facility in the paper’s headquarters at 242 W. 41st Street in Manhattan. (The Times has been doing TimesTalk events for years, but they’re usually scheduled far in advance and until now haven’t been pegged to the immediate news cycle.) Washington bureau chief Elisabeth Bumiller, Washington investigative correspondent Mark Mazzetti and Washington correspondent Michael S. Schmidt will take the stage along with moderator Katie Benner, the paper’s Justice Department reporter. Tickets are $30 (or $22.50 if you’re a Times All Access Plus member). Hot spot: Publishing veteran Nancy Miller (Los Angeles Magazine, Wired, Fast Company, etc.) 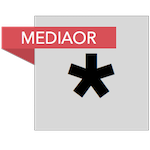 is joining one of the hottest shops in publishing right now. She’s the newly appointed editorial director of the San Francisco-based Pop-Up Magazine Productions Brand Studio, where she’ll work with brands to create magazine-style features, films and events in collaboration with both Pop-Up Magazine and its sibling The California Sunday Magazine. Pop-Up was named to the 2019 Ad Age Publishers A-List in January as an Event Publishers A-List honoree, while The California Sunday Magazine scored a Magazine A-List nod. The Brand Studio has worked with marketers including Bulleit, Coach and Google. Last November, both Pop-Up and California Sunday were acquired by Laurene Powell Jobs' Emerson Collective, which has been an investor in D.C.-based Axios and Brooklyn-based podcasting startup Gimlet Media (acquired by Spotify in February for $230 million). It's also been the majority owner of The Atlantic since 2017. ‘Live’ dead: “‘Vice Live’ Canceled by Vice Weeks After Debut,” per The Daily Beast. Beyond publishing: Vox Media is launching Vox Media Studios, which it calls “a premium programming division for television, podcasts and film.” Longtime Voxer Marty Moe has been named president of the division.